With 170 competitors the 24th Nottingham Open doubles was an absolutely fantastic day's squash! World No. 26 Declan James and Lewis Walters claimed a very competitive A Grade but the standard right across the grades this was probably the highest we have ever seen. Lewis Strudwick and Hannah Wright-Davies overcame the seeding predictions to take the Mixed crown with some gutsy 2-1 wins including 11/9 in the final. The C Grade saw the newly united pair of Nick Ratnarajah from Nottingham University and Jeremy Spooner from London prove a very steady team. Stefan Gwardzinki and Ken Tinleyn gave Southwell something to cheer about in the D Grade and after some brutal matches in the B Matt Nankivell and Max North finally took the title! 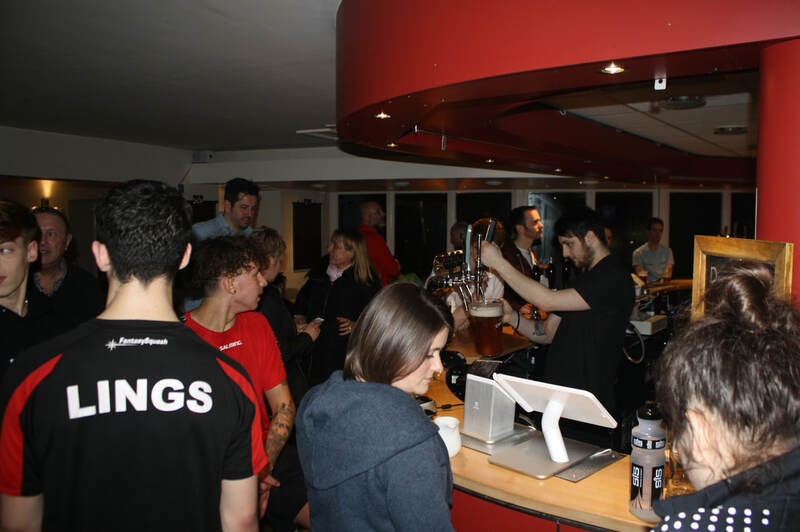 With so many people it was a predictable late finish but plenty of beer deals to keep everyone going it was a noisy enthusiastic crowd to see in the finals. Great effort from all the winners who thoroughly deserved the bottle of Weavers Wine after winning 6 matches! Big thank you to Weavers Wines for sponsoring.